This weekend sees the Swans welcome Gillingham to the Liberty Stadium in the 4th round of the FA Cup and will be the first time the sides have met at the Liberty since November 2007. 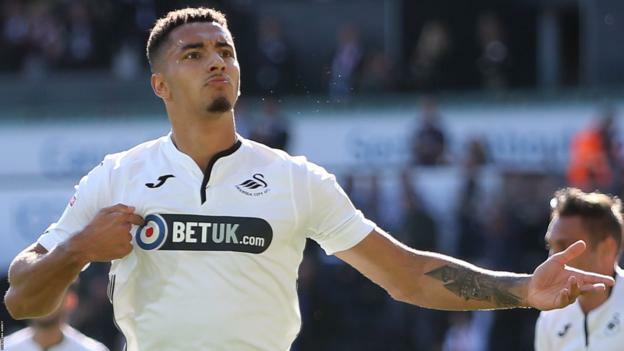 Swansea continued their good start to 2019 last week with a 1-0 victory over Sheffield United, and will be pleased with their showing in the second half of the game. The victory was Swansea’s third in four matches in this calendar year and has lifted the Swans to 9th in the Championship table, just 6 points off the play-off places. Gillingham suffered a 3-0 home defeat to Walsall last week and currently lie in 19th place in League One, but boast a record of 5 wins in the last 7 away games. The Gills did spring a surprise in round 3 by knocking out Cardiff City and the Swans will be keen to ensure that they do not knock another Welsh side out at this stage of the competition, especially one managed by former Swan and local lad Steve Lovell. Take a look at all of the historical results between the two clubs since their first meeting way back in 1921, when the Swans beat the Gills 2-1 at the Vetch Field in Division 3 [South], on our Swansea City v Gillingham Head to Head Statistics page. Barnsley born official Darren England will take charge of his first ever game at the Liberty stadium, when the Swans take on the Gills this weekend. The only other time he has been a referee for a Swans game this season, or previously, was the goalless draw at Birmingham City back in August 2018. He has also officiated one Gillingham game this season, the 3-1 defeat at Plymouth Argyle in League One back in October 2018. I would expect Swansea to win this game comfortably, assuming that Graham Potter fields a strong line up as he indicated he would in Thursday’s press conference. Although, Gillingham did knock out Cardiff in the last round, they did have the advantage of playing at their Priestfield Stadium home and it was a Cardiff side that had made a number of changes, as they prioritised their league campaign ahead of the cup competitions. My first selection is to back the Swans on the Asian Handicap with Gillingham having a 1.5 goal head start. This means that for the bet to be successful that Swansea will need to win by a margin of two goals or greater. This bet is available at 13/10 (2.30) with 188Sport. Although, Graham Potter has indicated he will field a strong line up, I do feel he may give Oli McBurnie a rest with two Championship games in the coming week and give Courtney Baker-Richardson another chance to impress after he has scored a couple of goals this month. Courtney is our first goalscorer selection as a result and odds 0f 5/1 (6.00) are of appeal if you usually back first goalscorers. Our ACCA this weekend features Doncaster, Swansea, Brentford, Aston Villa and Stoke and is priced up at 10.91/1 (11.91) with MarathonBet. If you’re planning on having a little flutter on the Swans this weekend, here are my recommended betting tips. Swansea -1.5 on Asian Handicap at 13/10 (2.30) with 188Sport. First Goalscorer – Courtney Baker-Richardson at 5/1 (6.00) with BetUK.